Enhance the look and value of your home with an elegant frameless shower. We design, manufacture and install glass showers, as well as beautiful painted and printed glass for shower walls. 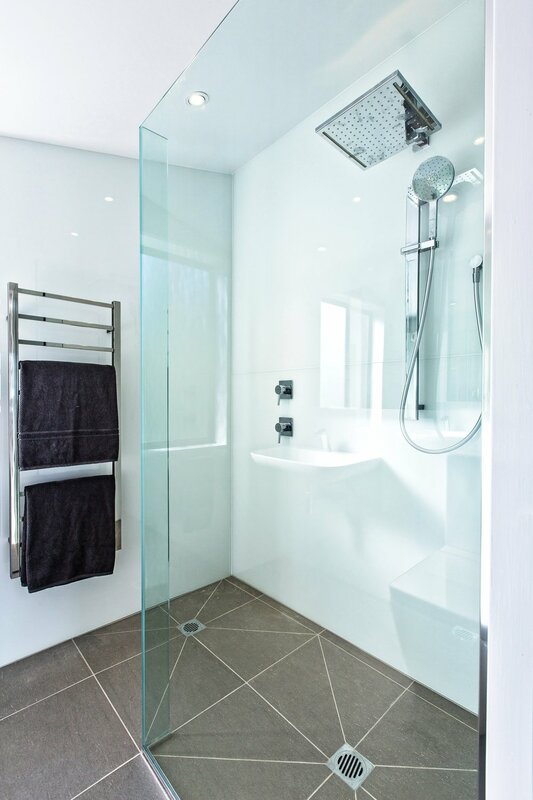 The great advantage of a frameless shower is its ability to fit in with your overall design. 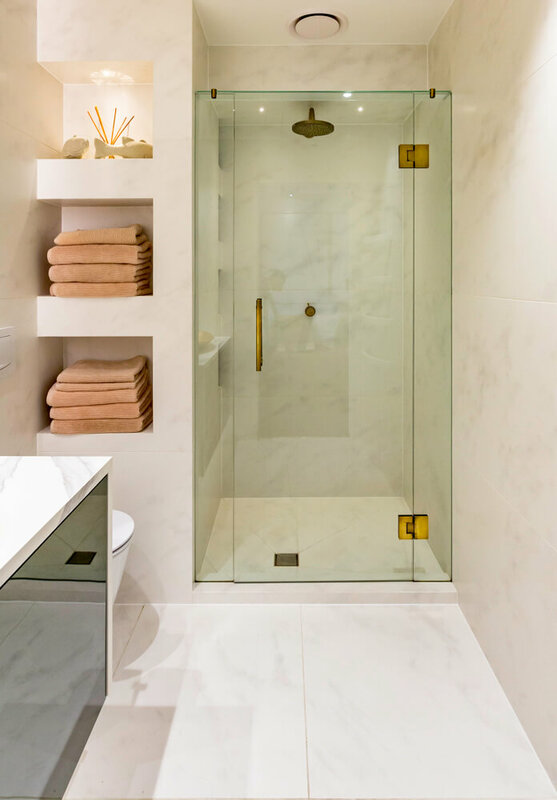 Whether your bathroom is compact or large, traditional or contemporary, with a high or sloping ceiling, a frameless shower will add spacious elegance that never looks out of place. 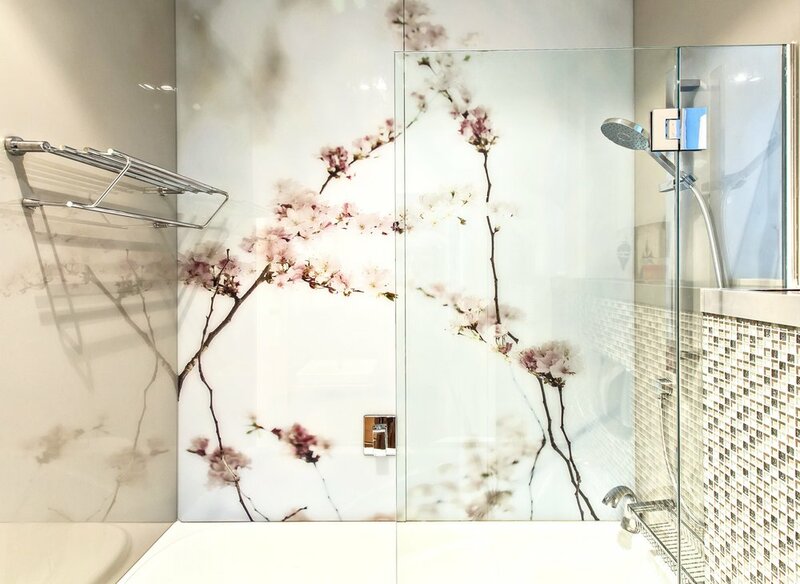 Create your personal oasis by lining the shower walls with seamless hygienic glass that's painted or printed on its back surface. Leading designers and architects were among the first to take our proven splashback glass technology out of the kitchen and into exquisite-but-practical bathrooms. Our experienced shower specialists know how to ensure reliable waterproofing, problem-free installation and lasting usability. We'll listen carefully to your requirements then design, measure, quote, manufacture and install the shower of your dreams.